You don’t have to be an historian, or an archaeologist, or have any previous experience of this type of work - this is a new form of adventure tourism where experts and enthusiasts work together to unearth and reveal the amazing history. Please also share to any groups you belong to who may have relatives that were involved in the fighting there. (It’s astonishing how many people we have spoken to already that have said ‘my father/grandfather etc fought there’) - this is a chance to be part of the team documenting this fascinating history for posterity. Neil Faulkner and I are happy to announce that, together with two other colleagues, we have formed a company called Military History Live. We already have a range of activities, trips and tours planned this year, with lots more coming in 2018. We are going live with our plans this week, and thought we would make a preliminary announcement to this group, to keep you all in the loop. On the back of the commercial activities we also intend to run archaeological dig projects in a GARP style format in the future, hopefully in several new places (we have three recce's booked this year already). 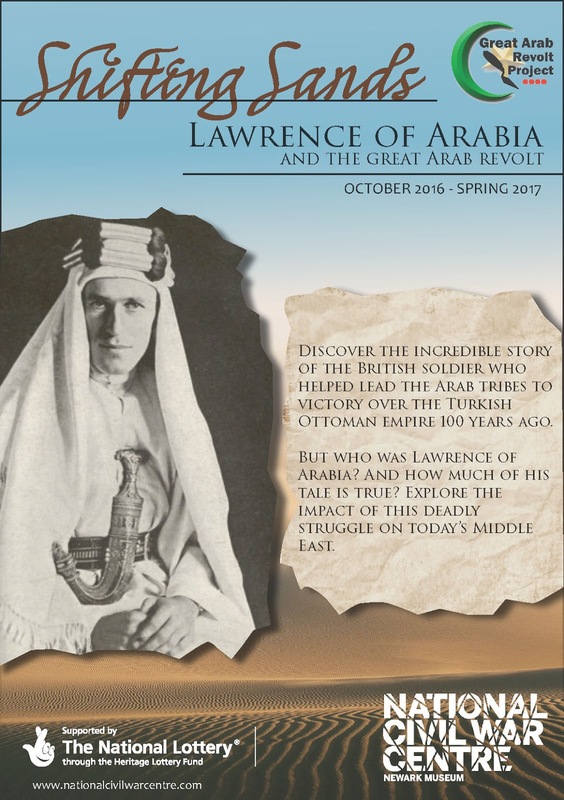 Between 2005 and 2014, Bristol University’s ‘Great Arab Revolt Project’ investigated the archaeology and anthropology of the Arab Revolt of 1916–1918 in southern Jordan. The discoveries were extraordinary. 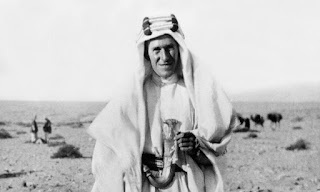 Expecting to find only the ruins of Hejaz Railway stations destroyed by T E Lawrence and the Arabs, they discovered instead a vast conflict landscape of guerrilla actions and counter-insurgency tactics unknown to anyone except the Bedouin. 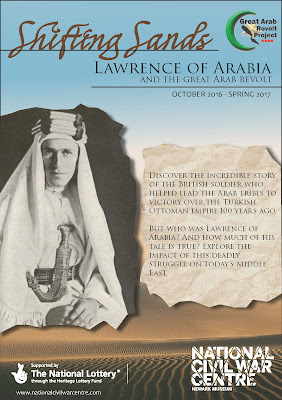 In this lecture, Nicholas Saunders, University of Bristol, reveals the Ottoman army camps, railway ambushes, Rolls-Royce armoured car raiding camps, hilltop forts, machinegun strong-points, and a long-forgotten Royal Flying Corps landing strip that all emerged from the desert where modern guerrilla warfare was forged. Ten years of fieldwork investigated the archaeology of conflict produced in less than 18 months, from August 1917 until November 1918. This event forms the 2016 Palestine Exploration Fund Evans Memorial Lecture jointly with ASTENE. More media reports relating to the exhibition at Newark. The exhibition which features the work of the project will take place in Newark, UK between October 2016 and the Spring of 2017. 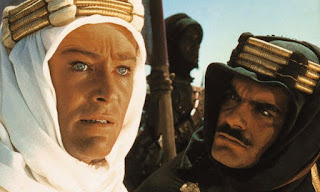 Items on display will include artefacts found by the team in various important sites associated with the Great Arab Revolt, including Lawrence's secret desert camp, sites of battle between the opposing forces, Ottoman camp sites and the location of the train ambush. Details of the exhibition will be available online via the museum information available at The National Civil War Museum, Newark, where the exhibition is being mounted. Jan Woolf has a letter referring to her upcoming play. Click picture below for link to the letters. Blogger, IT bod, ethical detectorist, archaeologist, geek.